At Spotless Eco-Friendly Dry Cleaners and Laundromats, we are continuously seeking out new processes to increase our contribution to protecting the environment. We are a pioneer in professional Wet Cleaning and the first Certified Professional Wet Cleaner and Dry Cleaner in Western Canada. 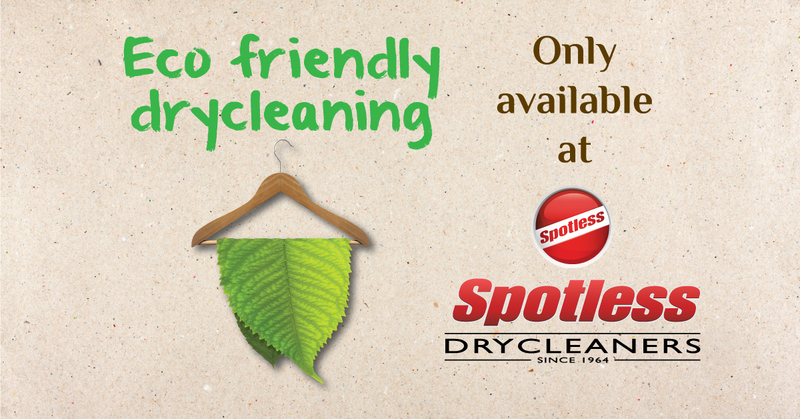 We also use a non-toxic, biodegradable dry cleaning fluid that is easy on even the most delicate fabrics and trims. Any plastic bags that we use are made of biodegradable plastic, which will decompose in the natural environment. A hanger recycling programme is in effect, bring us all your hangers and we will reuse or recycle them. We will continue to strive for excellence and decrease our carbon footprint while maintaining high quality service at competitive prices.